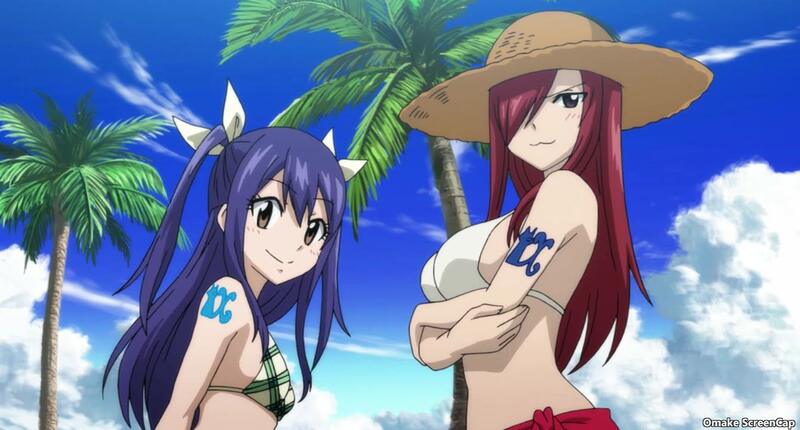 Erza and Lucy played up their cover story as beautiful mages vacationing on a resort island. 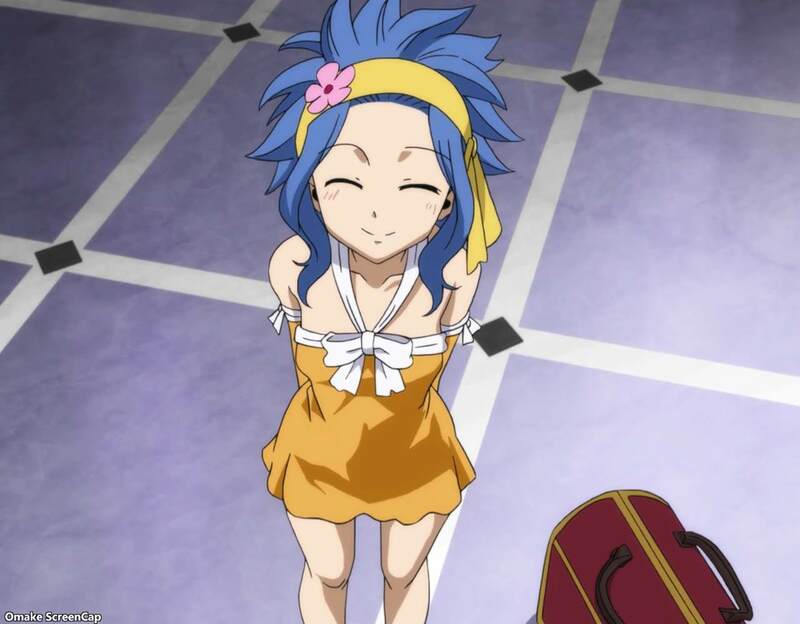 Happy helped too. 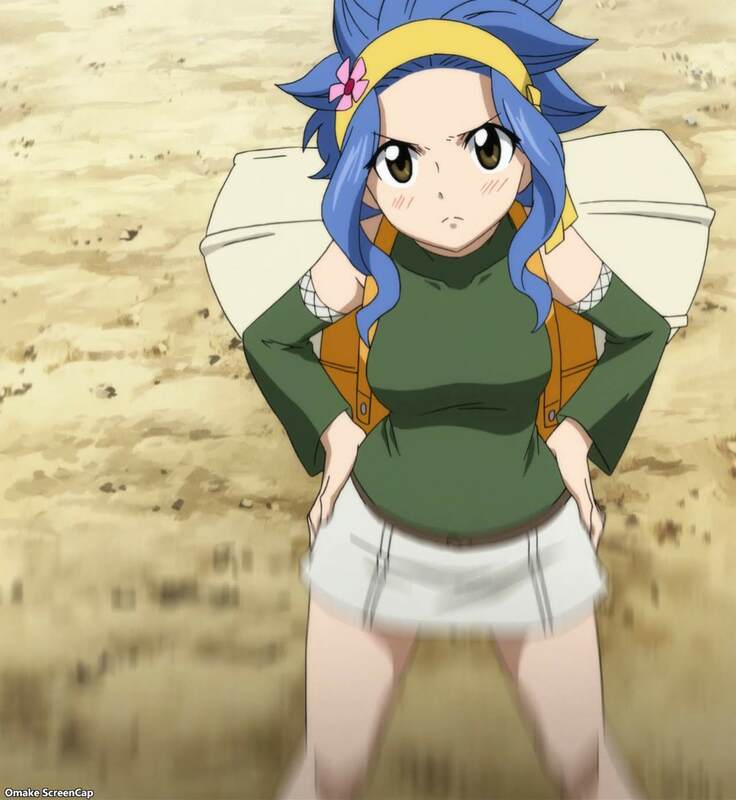 Levy joined "Team B" to support the infiltrating "Team A," which was already on a boat toward the Alvarez Empire. The Fairy wizards hit a complication on the little island when they found it full of Alvarez soldiers inspecting magic users. 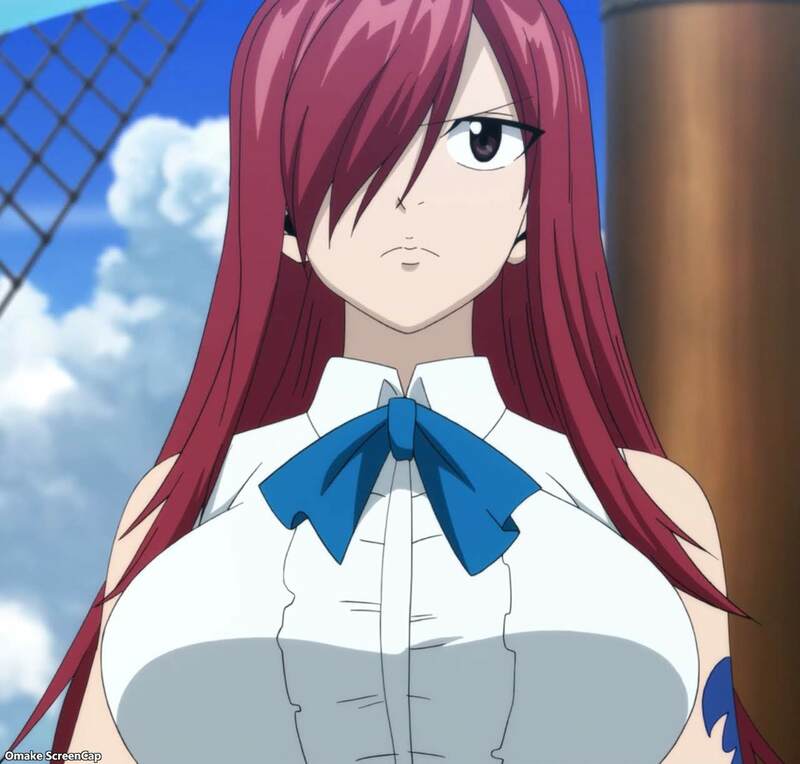 Erza and Lucy used their ample assets to make it through a checkpoint. Unfortunately, the Fairy wizards saw the soldiers abusing a small child and all ideas of keeping a low profile went out the window. 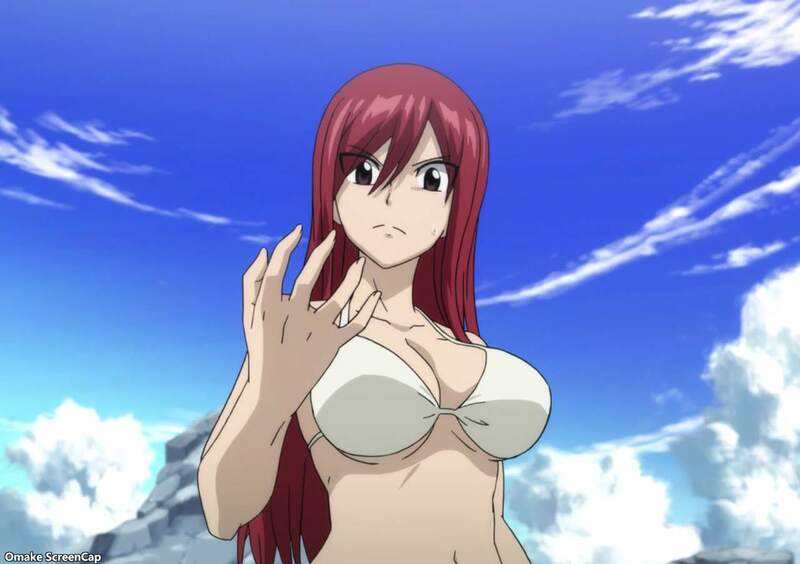 Lucy and Erza saw firsthand the power of the mages directly under the emperor. 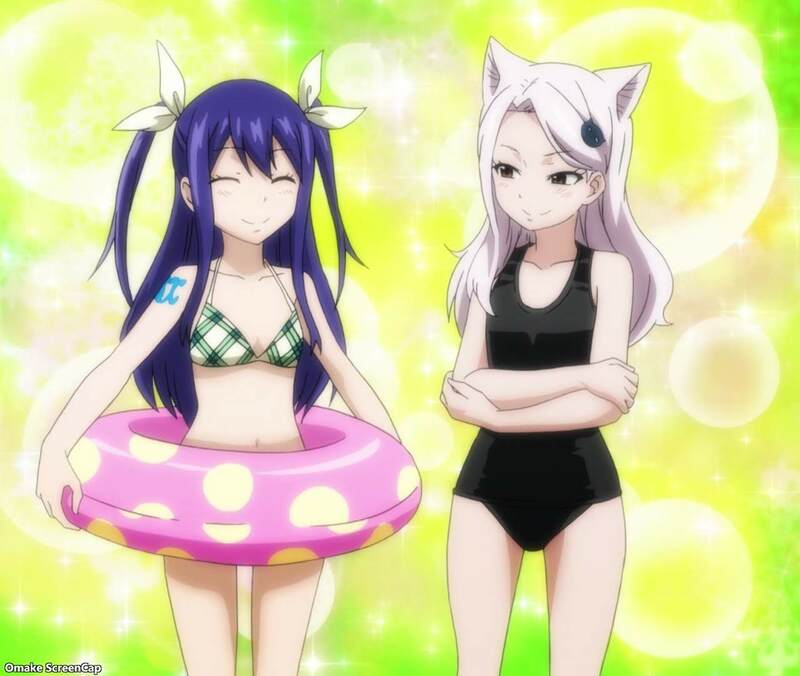 Marin, the lieutenant of Brandish, put the girls in his "relaxation space," a magic dimension he controls. 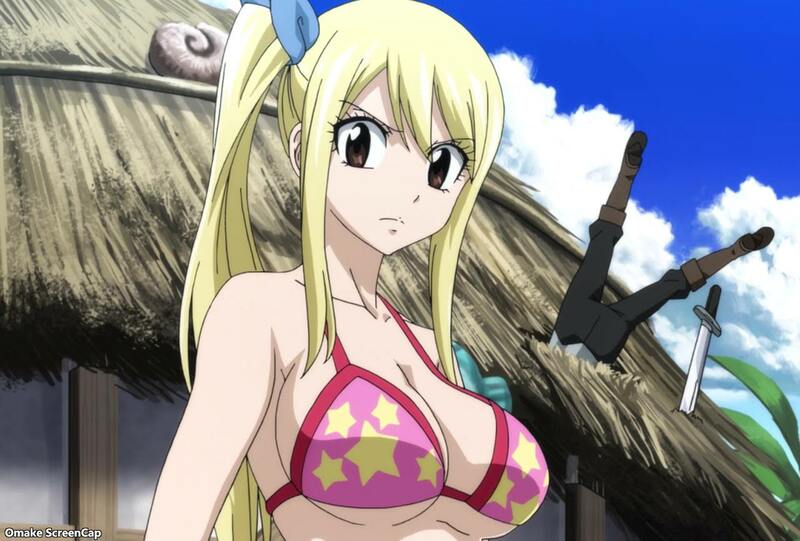 Brandish showed up and her magic aura intimidated Natsu and Gray. 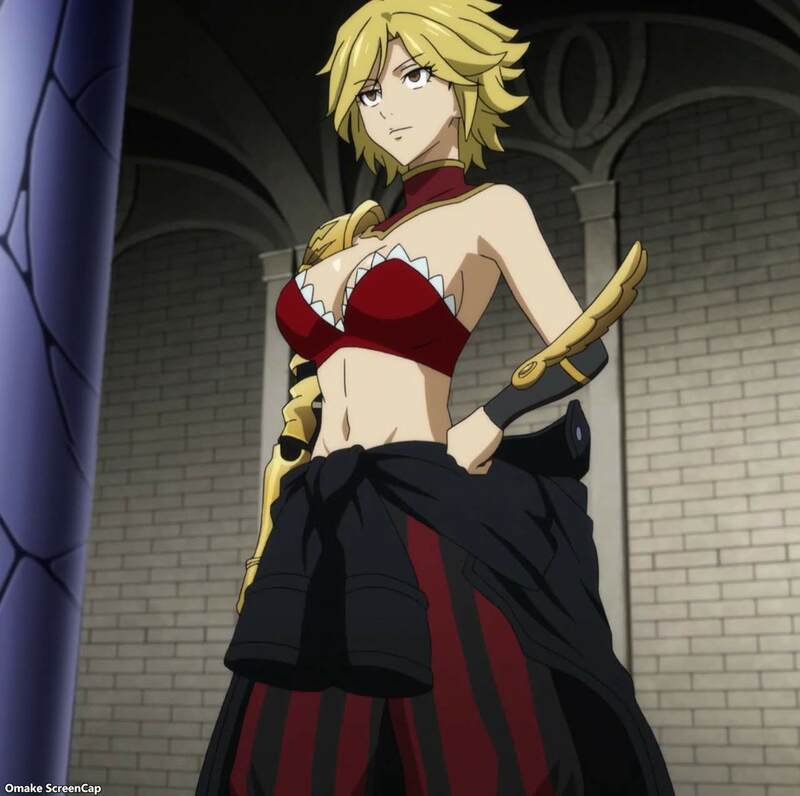 The preview showed more of these Spriggan Twelve who are Emperor Spriggan's closest advisers and ministers. 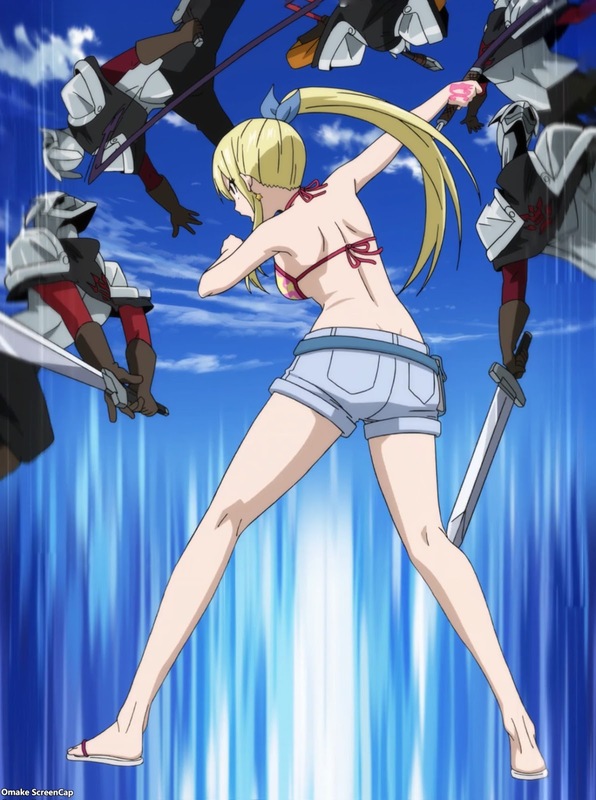 I'm most interested in seeing more of Brandish and Dimaria.